(CN) – The Trump administration on Thursday waived dozens of laws in preparation for construction of 18 miles of border wall in South Texas, angering an environmental group that says the wall will spoil the habitat of numerous endangered species. The Center for Biological Diversity said it might file a lawsuit to challenge the administration’s waiver of 28 environmental laws, including the Clean Water Act and Endangered Species Act, to clear the way for a border wall in the 2,088-acre Santa Ana National Wildlife Refuge in Hidalgo County, Texas. “The Rio Grande Valley is one of the most spectacular and biologically important landscapes in the country. Every acre is irreplaceable. We’ll do everything in our power to stop this destruction,” said Laiken Jordahl, the center’s borderlands specialist. The refuge is home to more than 400 species of birds, half of all butterfly species in North America and rare snakes, and is one of the few places in the U.S. where ocelots and jaguarondis roam. Environmental groups say the government is moving ahead with the project in the refuge due to the lack of red tape compared to other sections of the Texas border. Since the refuge is federally owned, the government will not have to use its power of eminent domain, which often leads to lengthy legal disputes with private owners who are not happy with how much the government offered them for their land. Trump often chanted “build that wall” to rally his supporters during the 2016 presidential election. But it’s been an empty promise so far, as Congress has not authorized funding that Trump wants to build barriers across the nearly 2,000 miles of U.S.-Mexico border, filling in gaps of existing fencing in California, Arizona and Texas. Trump has threatened to veto spending bills that do not include funds for the wall. To appease Republicans in Congress concerned that shutting down parts of the federal government would hurt them in the midterm elections, Trump signed an $854 spending package Sept. 28 that will put off the wall-funding fight with Democrats opposed to his anti-immigrant agenda until early December. “Unfortunately, the radical Democrats refuse to support border security and want drugs and crime to pour into our country,” Trump said when he signed the spending bill. 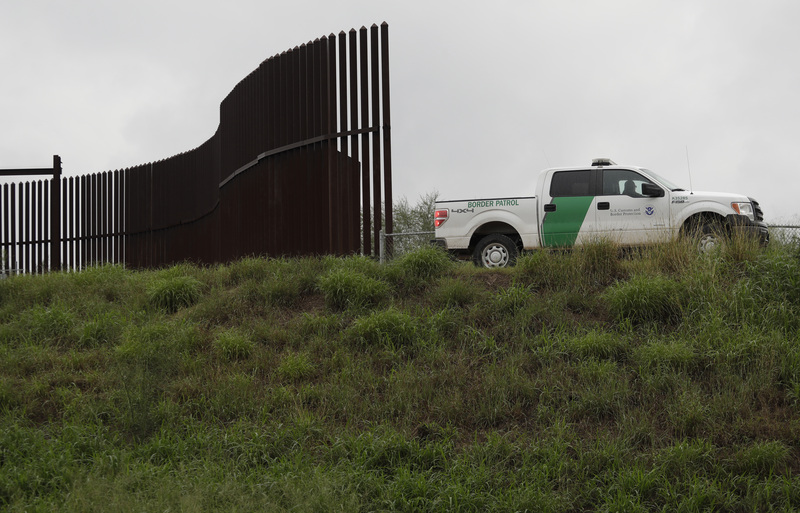 The Center for Biological Diversity said in a statement the Texas project is the fifth time the Trump administration has used the Real ID Act of 2005, which gave the secretary of the Department of Homeland Security the power to waive laws to facilitate border wall construction. Southern California is another front in the border wall battle. In February, a federal judge rejected a challenge from California Attorney General Xavier Becerra and environmental groups of DHS’ waiver of 37 environmental laws that could delay building 15 miles of wall from the Pacific Ocean eastward. The Ninth Circuit has yet to rule on an appeal of that decision after hearing oral arguments in August. The Rio Grande Valley is the busiest sector of the southern border for arrests of undocumented immigrants, according to U.S. Customs and Border Protection. In fiscal year 2018, CBP arrested 21,557 unaccompanied immigrant children in the Rio Grande Valley and 54,498 family units of at least one adult and one child. The San Diego sector saw 2,241 arrests of unaccompanied children and 3,604 family units in the same time period. Many of these immigrants crossed the border and turned themselves in to CBP officers with the goal of getting asylum. Critics say walls do not keep out immigrants determined to get into the U.S. either by climbing over on ladders or tunneling underneath, and CBP’s crackdown on areas around ports of entry has only spurred immigrants to cross deserts and mountainous terrain where an untold number have died from dehydration and exposure.